Hi everyone. If you've seen my previous posts you'd know I love to try new things and though this product isn't really new in the market, it's definitely new to me.. 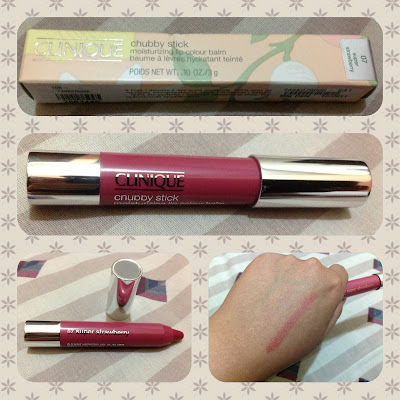 The Clinique Chubby Stick in super strawberry. I got this together with other Clinique products to avail of the biannual bonus time last September and I have to say that I'm glad I did. I was quite surprised of the size, considering it only weighs 3 grams yet it's almost the size of a regular mascara. It looks like a jumbo crayon too with a cap. Its base can be twisted clockwise like that of a lip gloss to reveal the entire length of the stick. It glides smoothly on your lips and can be used alone for a natural finish. I got the shade super strawberry and I love how it matches my skin tone. The color isn't too overwhelming and it gives you naturally flushed and moisturized lips. It feels light on your lips and staying power is quite impressive. You still need to reapply every after meal or drink but you can go without retouching for several hours more compared to other tinted lip balms. I definitely recommend this to everyone. 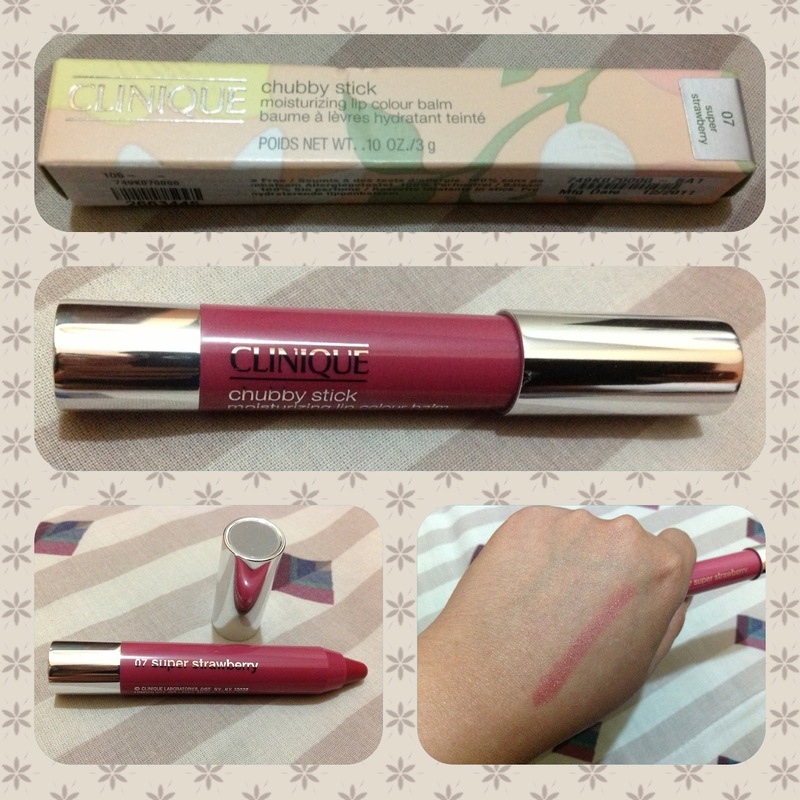 The Clinique chubby stick is also ideal for those who are just starting to use cosmetics or not so comfortable wearing lipsticks. It may be a bit pricey for a lip product but you will surely find this a must have once you try it. I will definitely repurchase other shades once I run out of this which I think won't be anytime soon.